Leube is a historian of economic thought, with an emphasis on Austrian economics, and a scholar of law and ecnomics and economic philosophy. 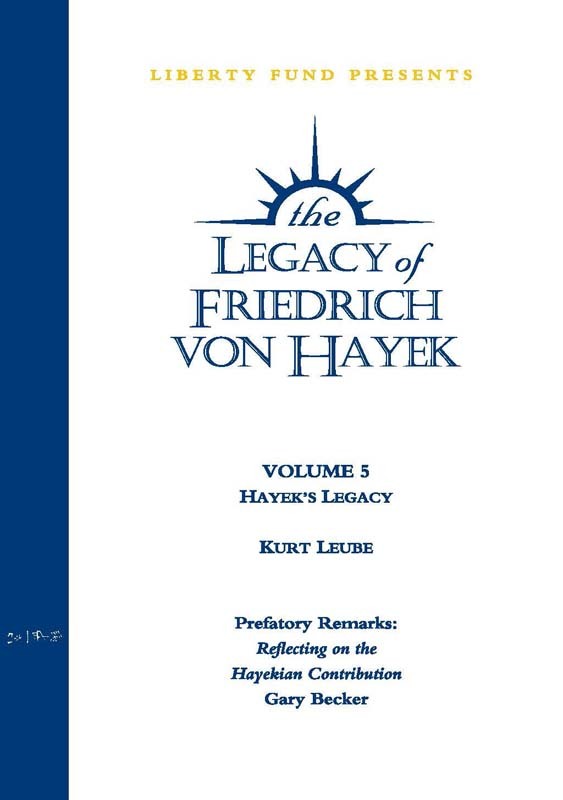 Among his books are The Essence of Schumpeter (1996); Die österreichische Schule der Nationalökonomie (1995); The Essence of Friedman (1988); The Essence of Stigler (1986); and The Essence of Hayek (1984). DVD. Volume 5. 82 minutes.